On October 1, Chancellor Howard Gillman and Orange County United Way President Max Gardner co-hosted the OC Working Together summit, a collaborative campaign to help the county’s least fortunate. 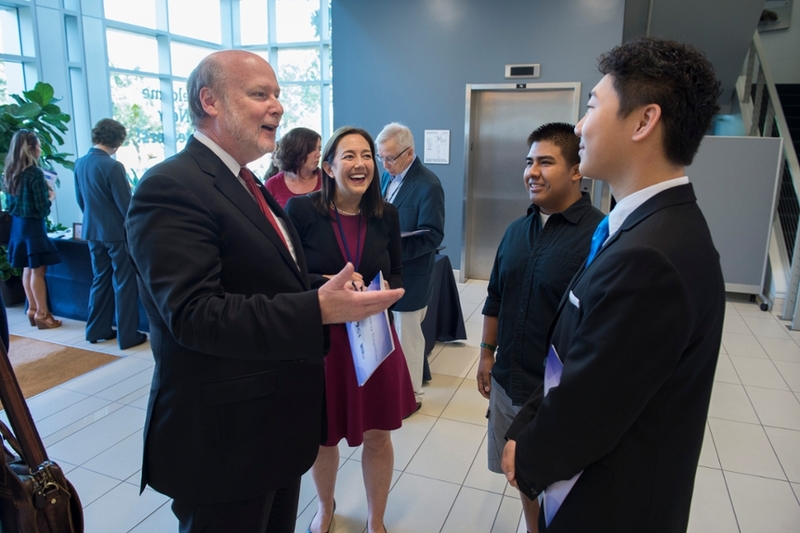 More than 200 participants gathered for the daylong summit, including UCI faculty and graduate students, chief executives from Orange County’s leading nonprofits, and city and county officials. Attendees heard presentations from key leaders, exchanged ideas, and identified next steps in forging solutions to pressing social issues. For more information and updates, please visit OC Working Together.